When I first told my Momma that I was getting bees, she said, “Warren, what are you thinking? Don’t you know that bees are mean and nasty by nature? And you have small kids!” There is a lot to say about the nature of bees and I won’t pretend to know more than a little about the nature of bees, but there are a few things that I think are interesting and noteworthy. 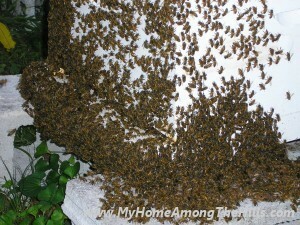 Contrary to my Mom’s initial fears, bees are not mean and nasty…most of the time. Bees, like any wild creature, protect their own (unless you are a gazelle in a herd and you see a cheetah bearing down…then it’s every gazelle for itself). But bees are absolutely protective of their home. Most folks encounter bees out on clover or bopping between their asters and mums (this time of year anyhow). In general, bees on flowers are not in the least interested in people watching them. Now, stepping on them is an entirely different issue, but that one makes sense I think. So, foraging bees are typically not aggressive, especially if left alone. Messing around with a bee’s home is another story. One would probably not fare well if one walked up to a hive and beat on the side of the boxes or did something even more foolish. It’s hard for me to blame a bee though. I am not much different in that regard. This time of year is often considered “late Fall” for honeybees. Bees have been working since August to pack away as much food as possible for the winter. 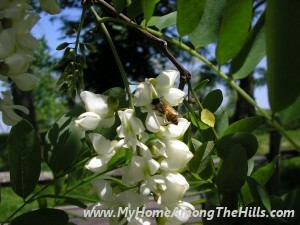 The nature of bees drives them to fill the pantry while there are still flowers blooming. They gather nectar and pollen from Fall-blooming plants including asters, mums, and goldenrod as quickly as they can. 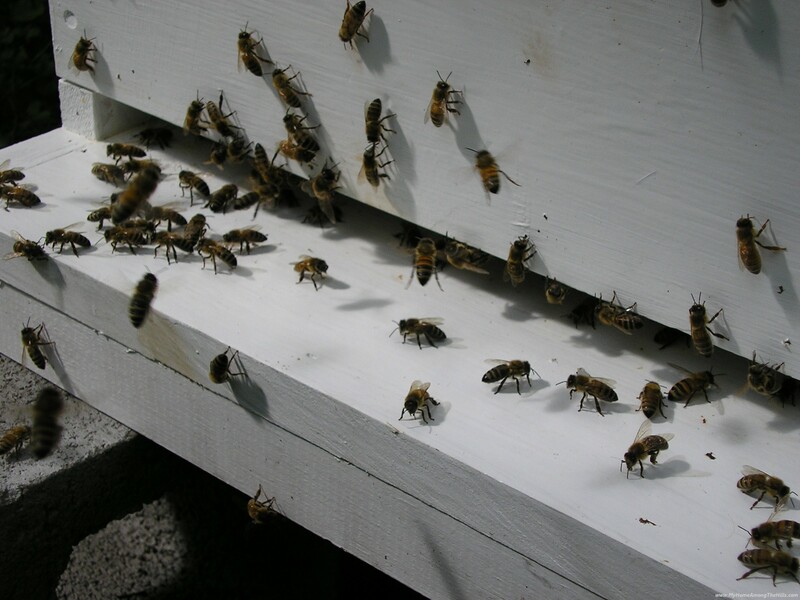 Once the frost comes, bees typically must survive the winter on what they have stored away. They need nectar (which they convert to honey) as a carbohydrate source and pollen as a protein source. A winter hive hopefully will have a good supply of both. The queen slows her egg-laying (which peaks somewhere between 1000-2000 eggs per day in mid-Spring) so that there are fewer bees to feed through the winter. Typically, during peak honey season, a female bee’s life is approximately 6 weeks. They work around the clock (much like my wife and many wonderful women…thanks!) and eventually wear themselves out. Starting in the “late Fall” for a bee, the work greatly diminishes and female bees last much longer, typically through the winter. I am not sure if you are catching my reference to female bees lasting through the winter. Males are absent in my “through the winter” discussion because they are…uh, absent through the winter. 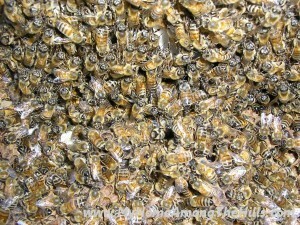 Male honeybees are needed only to breed with a virgin queen in the spring and early summer when new queens are made. In the winter, they would only eat…they wouldn’t even clean up after themselves (no comments!). Being practical, the nature of female bees is to “thin the herd” so there are fewer mouths to feed. 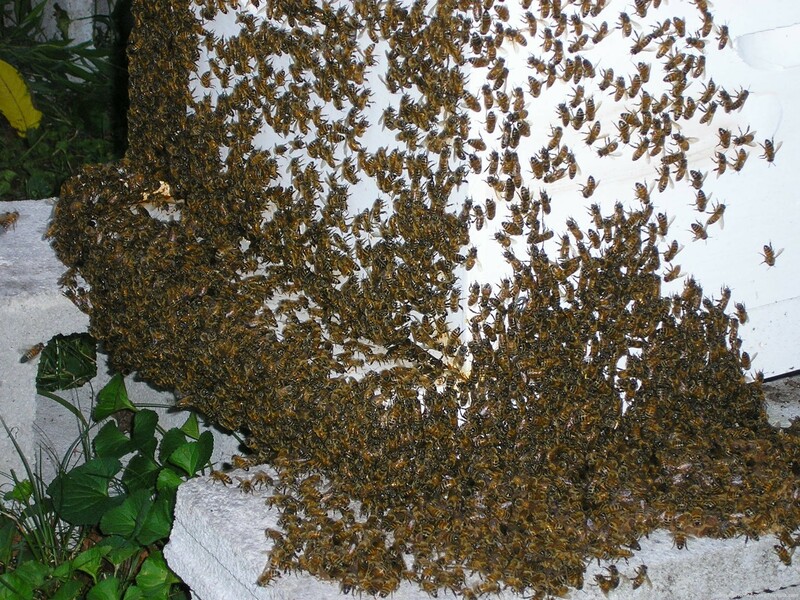 Between mid-September and now, the female worker bees physically drag the male bees to the hive entrance and throw them out. If they come back, the females pull their wings and/or legs off and send them over the edge again. 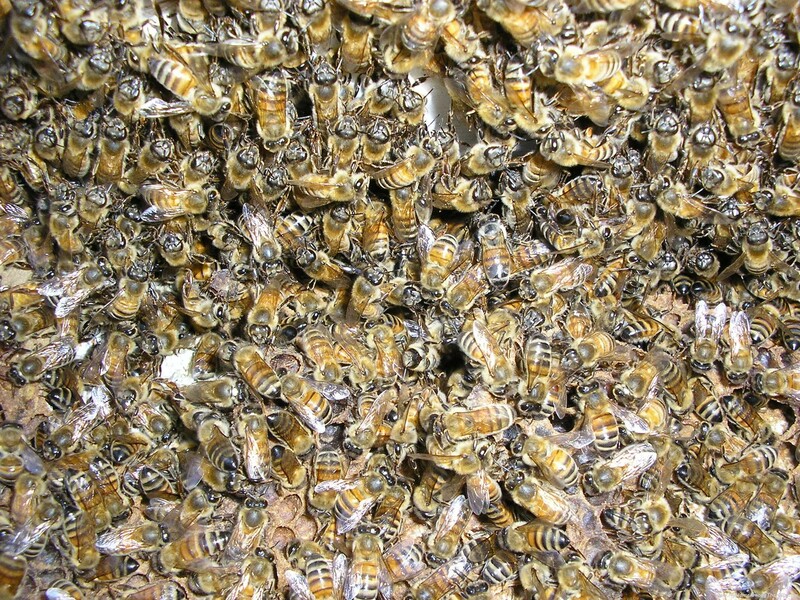 There are no male bees in a healthy wintering beehive. So, the nature of bees is simple in one way, while very complex in another. They are ancient creatures who live only to feed another generation. To have done that for millions of years astounds me. They are practical and unforgiving and demand a genuine contribution (guided only by genetics/instinct). As a community, honeybees make a beautiful, and possibly scary (if you are a male), example of nature at its finest! My granddad raised bees. I remember the year i was about 13 we “robbed” the bees with him so i have always had an appreciation for raising bees. I didn’t get stung then, but later that year i stepped on 3 (stupid child went out barefoot on clover) & i discovered i’m allergic. But i’ve never been stung since, all these many years later. It is amazing to me that when a bee comes around folks tend to swat at it. I don’t. I stand still & before long it moves on. Of course, i usually am not wearing any kind of scent. My husband gets nervous when bees are around, knowing that i’m allergic, but i kind of like them. They are not at all aggressive. But i think it would be a bad idea for me to try to raise them. I love bees. Sitting amongst them whilst they forage for food amidst my herbs is a real privaledge. It’s fascinating which nectar attracts the bumblebees (most plants) while the honey bees don’t seem to appear until the marjoram and mint bloom. I don’t have time to keep my own hives but I’m still waiting to work with someone who would like to keep bees but doesn’t have any land. Our ladies kicked the guys out a few weeks ago, it’s was very interesting to watch. At first, the kids wanted to try to “save” the bees but it was not to be they soon learned. Still, it is a rite of fall that we have all come to look for…not excitedly, but it is our signal that fall is near. Bees are super interesting and we enjoy the seasonal indicators we get from them all through the year! I love my ‘girls’ and they’ve really improved our garden harvests. 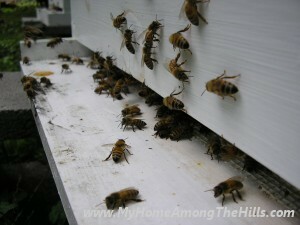 Having a beehive(s) changes the way you look/think about them, as they fly around the yard and garden.